Briana Suarez graduated from the Elliott School with a degree in Security Policy Studies in 2018, concentrating on Conflict Resolution and Intelligence. Building on her undergraduate degree in International Relations from the State University of New York, New Paltz, the SPS program allowed her to combine her interests in humanitarian aid and war studies, bridging her understanding of both and their relevance during warfare. Briana worked at GW in different departments and previously interned with Doctors Without Borders (MSF) prior to her graduate studies. I am the International Admissions and Operations Manager at the Association of Professional Schools of International Affairs (APSIA). 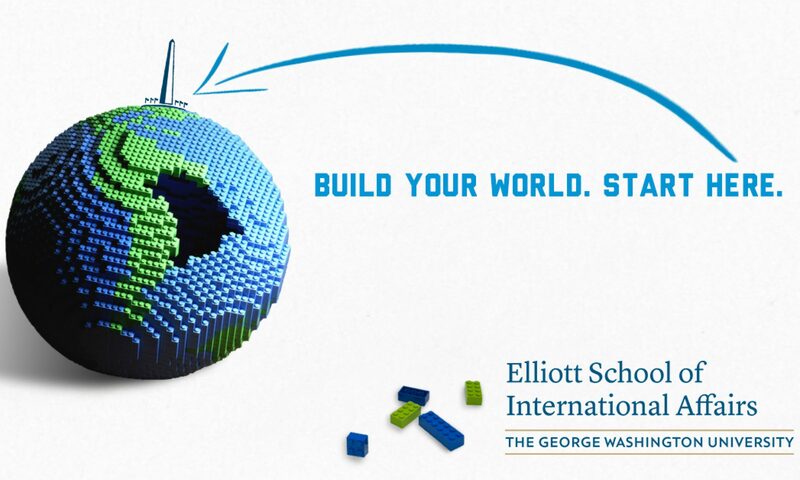 I am responsible for connecting prospective students with leading graduate schools in international affairs and public policy, such as the Elliott School, and providing them with the resources and opportunities to apply, afford, and achieve a career in this field. This includes webinars on applying to graduate schools, panels, info sessions, fairs, and so forth. Additionally, I work with these graduate schools to make them better and help them in continuing to make their students positive agents of change. What professional organization, websites, or Elliott School courses, would you recommend for students interested in your field, and why? One of the most critical courses I took during my time at Elliott was the “Writing for Policymakers,” taught by the distinguished Professor Chris Kojm. The amount of writing, editing, and restructuring done in that short period made me a more critical and concise writer. Policymakers and professionals do not want to read term papers or reports about these topics nor do they have the time. And yet, you are often tasked with briefing and teaching them the context behind these topics in 2 pages or less to help them make a well-informed decision. If you are unable to convey your argument and points in a concise manner, no amount of passion or conviction can help you succeed. I eagerly recommend this course, especially if taught by Professor Kojm. What part of your career do you find most challenging and how do you stay motivated? I find the most challenging part to be getting the word out about all of the amazing opportunities available for students. There are so many resources at the disposal of prospective and current graduate students from how to pay for graduate school all the way up to how to network and get a job in your respective field. I stay motivated by reminding myself of the important work I am doing and remembering that having someone like myself to guide students during their graduate school application and process makes the world of a difference. Finally, I remind myself that I want to see the international affairs field more representative of individuals like myself. My work helps in changing the landscape and face of the field to include more diverse voices and perspectives; to include more underrepresented individuals, be it women, minorities, those with disabilities, and so forth. That keeps me going when I feel like the work is overwhelming. If you could throw a parade of any caliber, what type of parade would it be? A parade that celebrates wine, cheese, and bacon with free samples from different vendors. Lots of confetti, giveaways, and the aforementioned things.